You choose the physical location of your retail store based on the demographics of your target customer. For example, for selling contemporary fashion you choose an area with a young affluent demographic. Regardless of other factors your sales are limited to the traffic of that local target demographic. The web has a similar limitation. There is a finite market for contemporary fashion. The difference is now that market is worldwide! 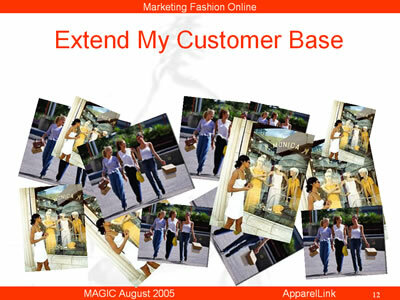 An easy to use, up-to-date web site allows you to convey your creative vision and fashion leadership to your customers. By emulating your successful offline merchandising online, you will generate sales to your target customer located out of reach of your “brick & mortar” store.